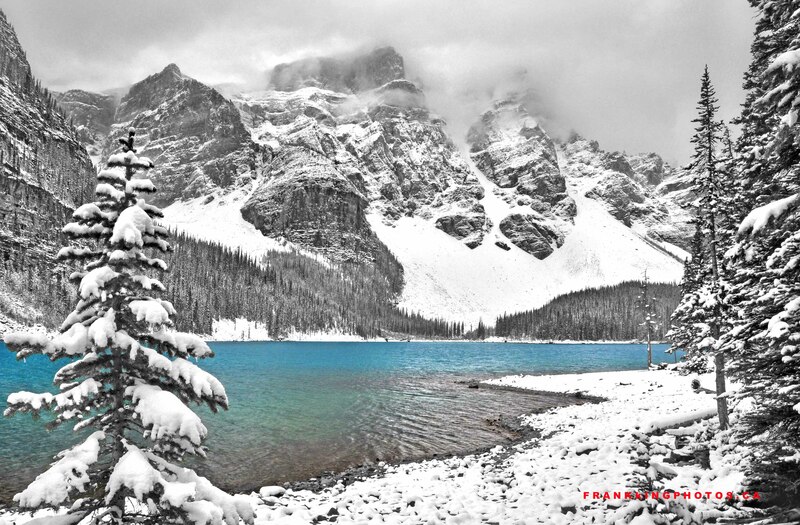 This autumn scene in the Canadian Rocky Mountains had little colour besides the stunning turquoise of the lake, so I converted the rest of the photo into black-and-white to make the final photo more dramatic. (You can see a full-colour version here: http://bit.ly/SnowyLake). Love what you did with the color. I’m cold just looking at it.